With all the attention paid to the Millard Fuller Legacy Build host site (this year in Minden, Louisiana), it’s easy to overlook that the Legacy Build is a global effort with a hundred houses to be dedicated around the world the week of Oct. 17-21. Among the many places the Fuller Center for Housing will be busy that week is Armenia, home of the first international family picked for a 2011 Legacy Build home. Laura Gyozalyan, 33, daughter Susan, 16, and son Karen, 15, have been selected as a partner family. Work began on the home earlier this year and is closing in on completion. After years of living in a relative’s home, the family set out to build their own house in 2008. But after running into financial problems, the father left to work in Russia in hopes of keeping the family financially afloat and the dream of owning their own home alive. However, he died unexpectedly while in Russia. Laura Gyozalyan was left to raise her two children alone, while her in-laws assist the family. The family’s main source of income is farming. They grow strawberries and have a garden next to their unfinished home, but it hardly generates enough money to raise two children and complete the house. Now, she and the children hope to see the father’s dream come to fruition by teaming up to work alongside local and international volunteers to finish a project that was begun by the Fuller Center this past spring. The house is now slated to be dedicated during the 2011 Legacy Build. Click here to contribute to this effort. Read about Legacy Build partner families in the host site of Minden, Louisiana, by clicking here. 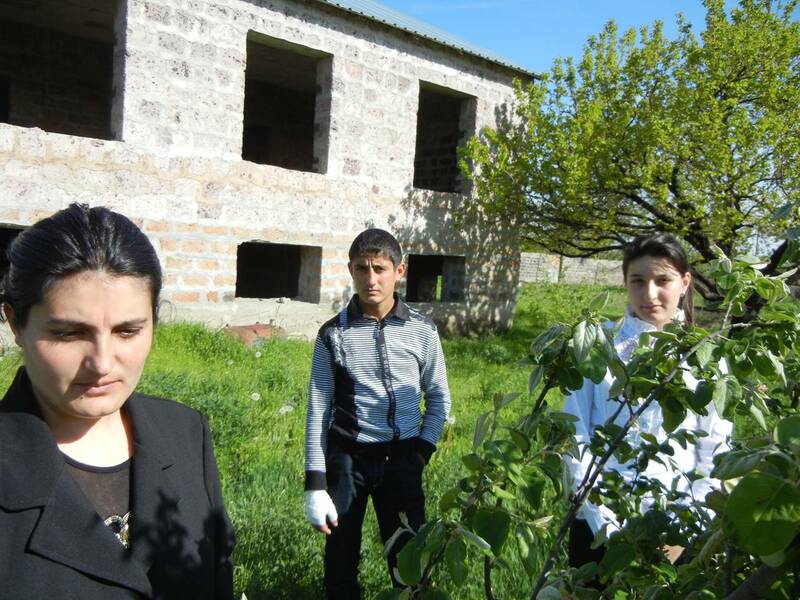 Learn more about the Fuller Center’s work in Armenia here and see photos of our Armenian work here.